Frank Denbow is a computer scientist and entrepreneur from New Jersey. He is currently a Startup Advocate at Microsoft, helping support the startup community in NYC. He is the founder of INK’A, a platform for producing top quality custom apparel for companies and influencers. Frank has bootstrapped INK’A into millions in revenue and enjoys supporting other entrepreneurs in the startup ecosystem. 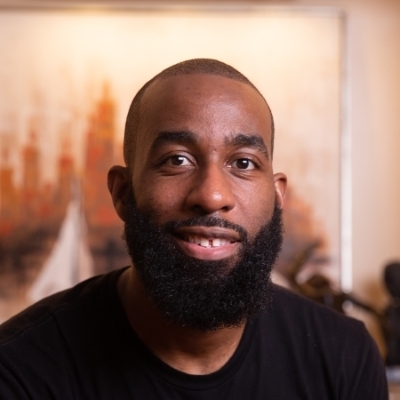 Born in Harlem, and raised by Jamaican & Guyanese parents in New Jersey, Frank caught the bug for entrepreneurship at an early age, selling cologne on eBay, and began programming in middle school. A graduate of Carnegie Mellon’s Computer Science program, Frank interned as a software developer at Apple before building his own companies. Frank has held leadership positions in community organizations such as Startup Weekend, Startup Digest, & Coalition for Queens / Pursuit, helping connect entrepreneurs with the resources they need. Out of this desire, he created INFLECTION, a community for profitable companies. With passions for spreading computer science education and in affecting change in prison reform, Frank serves on the advisory board for Academy For Software Engineering (a Computer Science focused high school) & volunteers with organizations like Defy Ventures. AFSE Entrepreneurship Club - I run an after school club for high school students to learn about entrepreneurship via a hands on program.